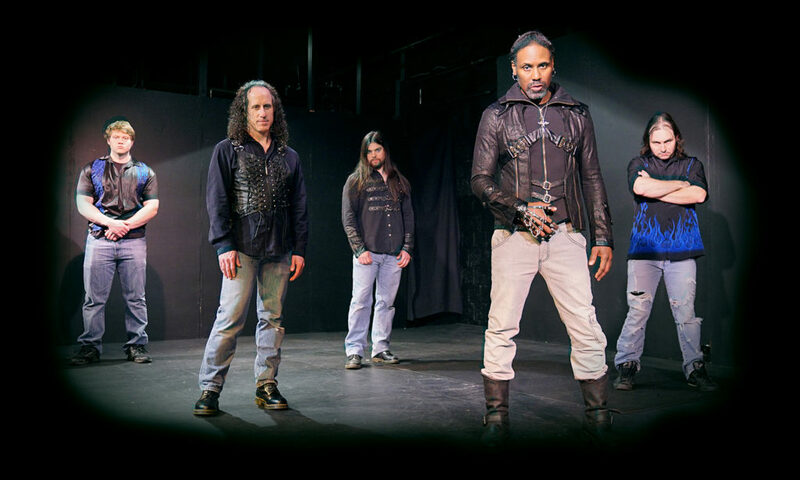 ODIN’S COURT is a Maryland, USA band that was formed by Matt Brookins in 2001. The band is best described as a mixture of metal, progressive, & rock, fusing classic and modern sounds that transcend several genres. In 2008, ODIN’S COURT signed with ProgRock Records and has since released 4 albums through PRR and their partner labels worldwide. Deathanity (2008) is an ambitious concept album analyzing the macroscopic affects mankind’s actions have on the planet. In addition to a traditional rock configuration, this album utilizes saxophone, female backing vocals, interview clips, and sound effects to create a vast soundscape. Special guest vocalists include Tom Englund (Evergrey) and Tony Kakko (Sonata Arctica). The Warmth of Mediocrity (2013) is the first album to feature LaFavors along with Brookins on lead vocals. The title track showcases a new and focused sound for the band, while the remaining tracks make the album an anthology, as these tracks are “reboots” of previously released songs that have been remixed, remastered, and in several cases, feature newly recorded vocals from LaFavors. Turtles All the Way Down (2015) deals with ideas and questions relating to the entire universe – how did it start, where is it going, what makes it tick, what is its purpose, etc. – from the point of view of the individual’s mind. It deals with mankind’s quest for knowledge, and how that knowledge changes. New discoveries often change humanity’s understanding or turn perceptions upside down, sometimes making long held beliefs immaterial. The title refers to the idiom that references “infinite recursion” or in layman’s terms, “what came first: the chicken or the egg?”. The band returned to their independent roots, releasing this album through Brookins’ D2C Studios label.